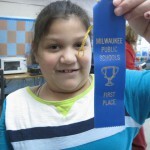 MPS School-Based Adaptive Athletics is a cross-categorical, competition-based athletics program for students with disabilities who attend Milwaukee Public Schools. Walt Whitman is proud to participate in this richly rewarding program. The program was founded in 1972 as the MPS Special Olympics program in order to provide competitive athletics opportunities for MPS students with primary cognitive disabilities. The program started in three MPS schools and eventually expanded, as the population of students grew, to numerous other schools. By 1988, MPS had a total of 277 registered Special Olympics athletes with cognitive disabilities and was an accredited Special Olympics agency. basketball skills, bocce, track and field, and Sports Challenge Day for students with multiple and significant disabilities. MPS also has 325 athletes registered to compete at weekend events with Special Olympics Wisconsin. The program utilizes approximately 800 MPS high-school student volunteers each year to help run events and hosts several of the tournaments in MPS high-school field houses. childhood obesity, and discrimination against students with disabilities. importance of youth investing in their communities. MPS Adaptive Athletics, and Team Milwaukee. 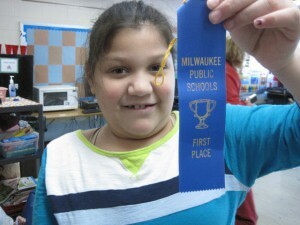 compete with Team Milwaukee alongside other MPS graduates and adult athletes. The Milwaukee Board of School Directors recognizes and honors MPS School-Based Adaptive Athletics and MPS Community-Based Special Olympics — Team Milwaukee for their dedication, outstanding leadership, and commitment to excellence on behalf of the students of the Milwaukee Public Schools.